7th Rangers: Iraq Sentences Dozens of Foreign Islamic State Brides to Death - Great!!! Iraq Sentences Dozens of Foreign Islamic State Brides to Death - Great!!! 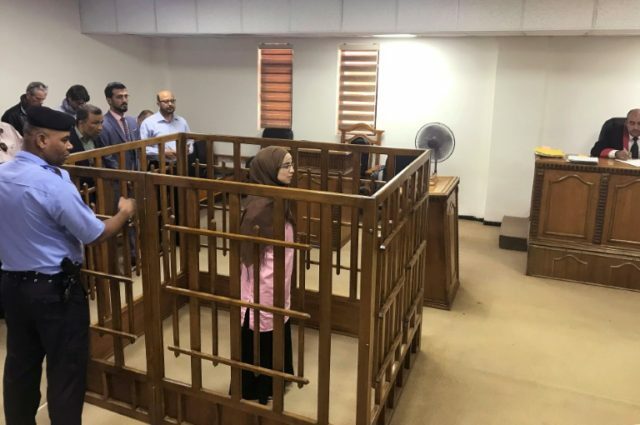 The Guardian reported that at least 40 women were sentenced to death and approximately 300 people total sentenced to death so far in the country for having ties to the Islamic State. The women reportedly had ten minutes to beg for their lives before judges passed his sentence upon them, according to the Daily Mail. The majority of women sentenced are reportedly widows and the sole caregivers left for the small children born to terrorist fathers. Many of the women pleaded with the court on the basis that they were not aware their significant others were jihadists. Many of the brides traveled from Europe and a few came from the United States.